Al Merrick's large size signature template. 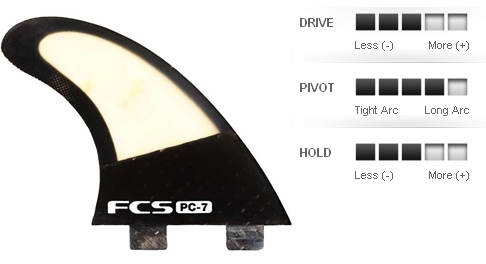 Raked side fins produce exceptional drive, the smaller center fin offers quick release through turns. 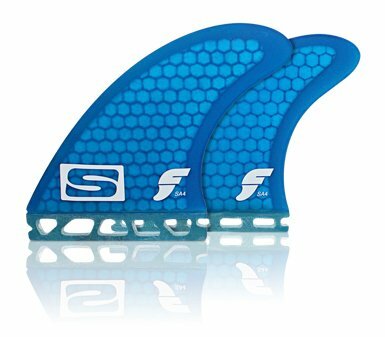 Performance Core material and construction is designed to deliver the feeling of a traditional fiberglass fin with the added performance of reduced weight. The RTM (Resin Transfer Molding) process produces a lightweight fin with remarkable flex, a smooth feel and an impressive aesthetic. 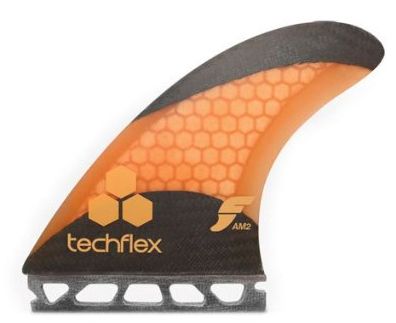 Kelly Slater's signature fin enhanced with Uni-Flex Carbon Technology. 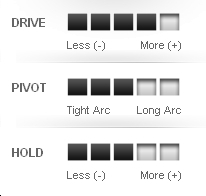 Ideally suited to open face waves and longer turning arcs. 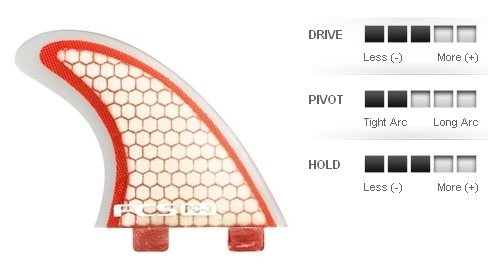 Medium size fin with optimum weight range 65-80 kg; 143-176lbs. 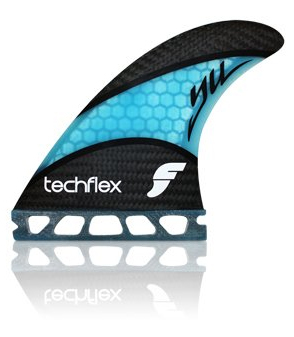 Lightweight performance fin with a stiff flex pattern and IFT. Delivers a balance of speed, maneuverability and response in a wide variety of conditions. 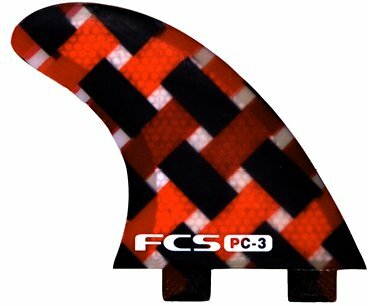 Lightweight performance fin with stiff carbon base. Foiled bamboo core offers remarkable flex and tip response, can be used in a variety of conditions and board models. Simon Anderson's large size signature template with IFT. 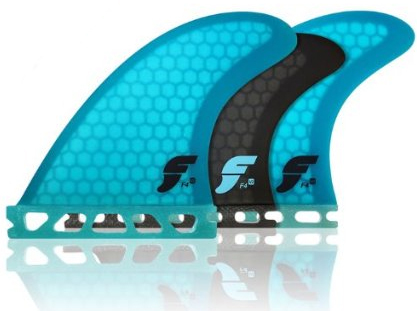 Fast performance fin ideal for driving hard off the bottom and turning tight in the pocket. Ultra-light construction with IFT and a super stiff, highly responsive carbon controlled flex pattern. 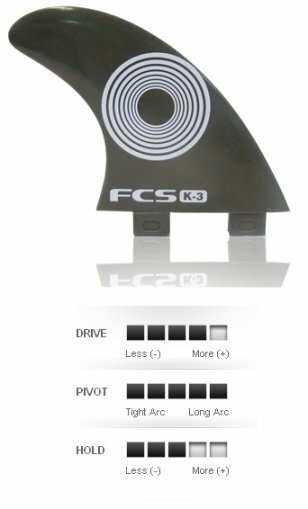 Produces remarkable acceleration through turns, suitable for all conditions. 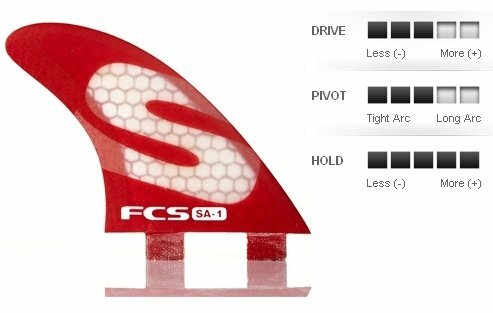 Ultra-Light Epoxy was developed by FCS to create the lightest possible fin with superior flex properties while ensuring strength and foil accuracy. By minimizing weight without sacrificing response of flex and strength, Ultra-Light Epoxy is our lead construction process delivering the ultimate in performance. Medium: Optimum weight range: 65kg - 80kg/143-176 lbs. 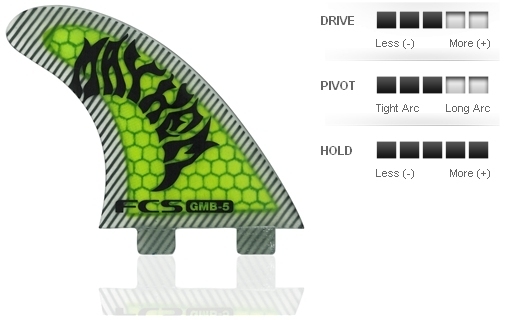 One of our most popular templates available as a 5-Fin setup. 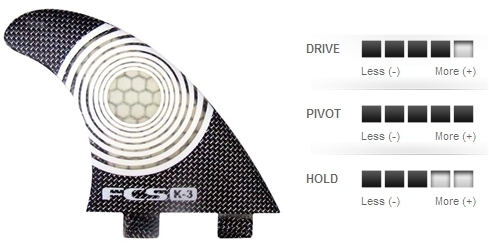 This template differentiates from the F4 Quad and F4 Thruster versions by featuring a V2 Foil that allows you to generate speed and get a little more whip out of your bottom turns. 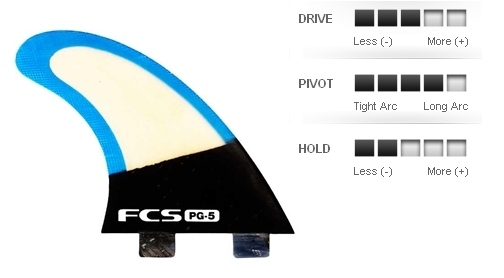 The F4 is a great for template medium sized riders looking for a fin that is a little looser or for smaller sized riders looking for a setup with a little more drive. 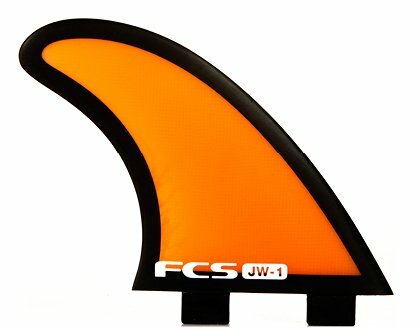 SIDE FINS: HEIGHT: 4.59" BASE: 4.45" AREA: 14.91"
CENTER FIN: HEIGHT: 4.47" BASE: 4.25" AREA: 13.31"
The AM2 is Futures Fins larger rider template designed by world famous surfboard shaper Al Merrick. 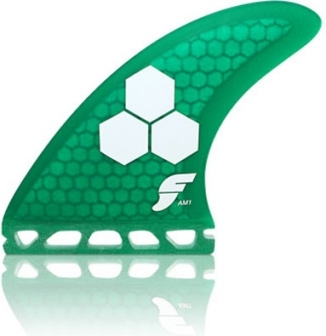 With a full base and large surface area, this fin means power. Our smaller template for medium sized light footed surfers. A solid base with small tip and honeycomb core is perfect for a fast loose style. Try this laid back template in wrapping point breaks. Tri fin set. Height: 4.56 in. 11.33 cm. Base: 4.45 in. 11.30 cm. Height: 4.04 in. 10.26 cm. Base: 3.76 in. 9.55 cm. 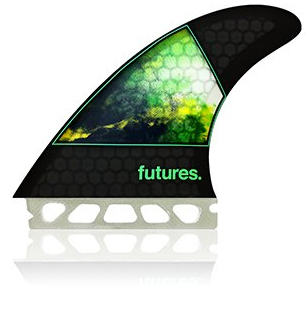 The new 2013 John John Florence Futures Fin is here! 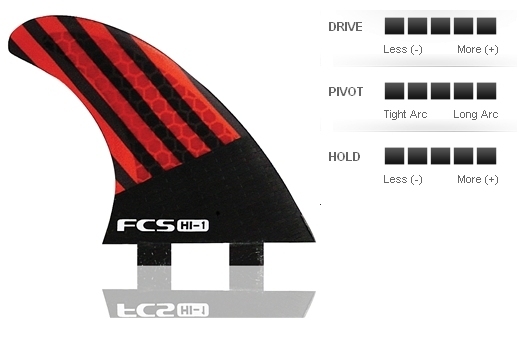 Before going into the performance aspects of this fin, I just want to say that it is one of the sickest fin graphics out there. Each fin has it's own unique graphic, but as a whole they are truly a work of art. 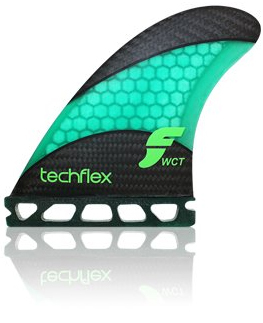 These fins are based off of the F4 TechFlex John John grew up riding, but lately he has outgrown them so he started developing something a bit bigger, and more tailored towards his surf style. 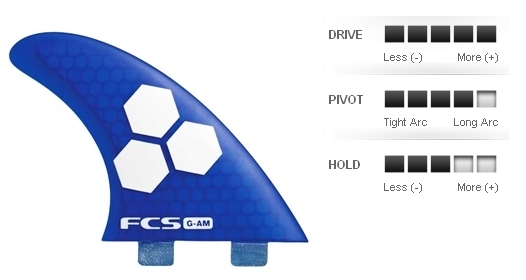 The results...a medium sized light weight fin that balances drive and release for optimal control. Check out the 10 point air from this years ASP event in Bali. 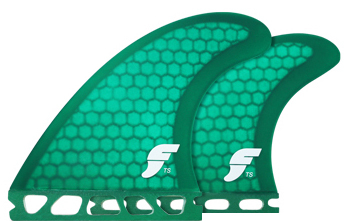 John John was no doubt riding a prototype of these fins in that contest. 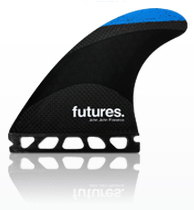 After over a year of testing the fin is ready for the public, but the question still remains....are you ready? A template designed for surfers looking for hold and power in the large weight range. The large base allows you to create your own speed while the large tip helps you stay on rail. Riding the quad rears instead of the center fin will add drive and hold.